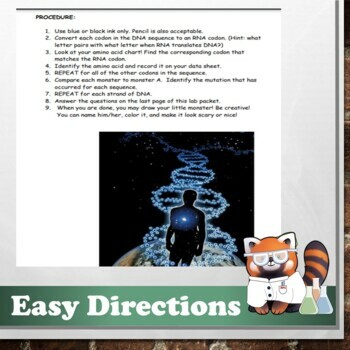 Looking for a fun way to get your students to learn the skills of translating and transcribing DNA? Look no further! 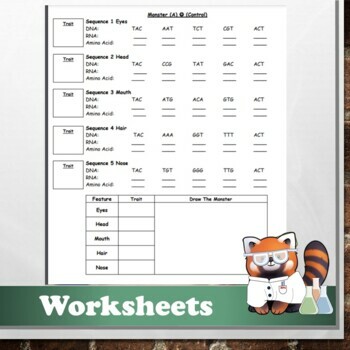 Students use these worksheets to create monsters from different genes in their DNA sequences! But watch out! 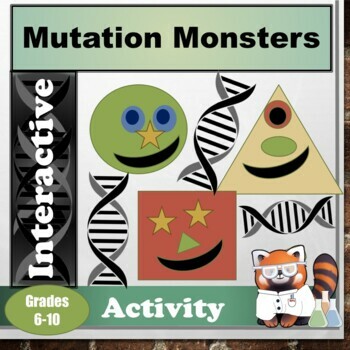 Some of the monsters have mutated! 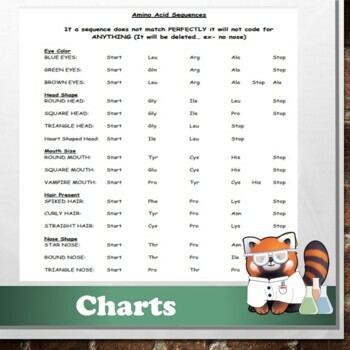 Excellent classroom activity for all students!